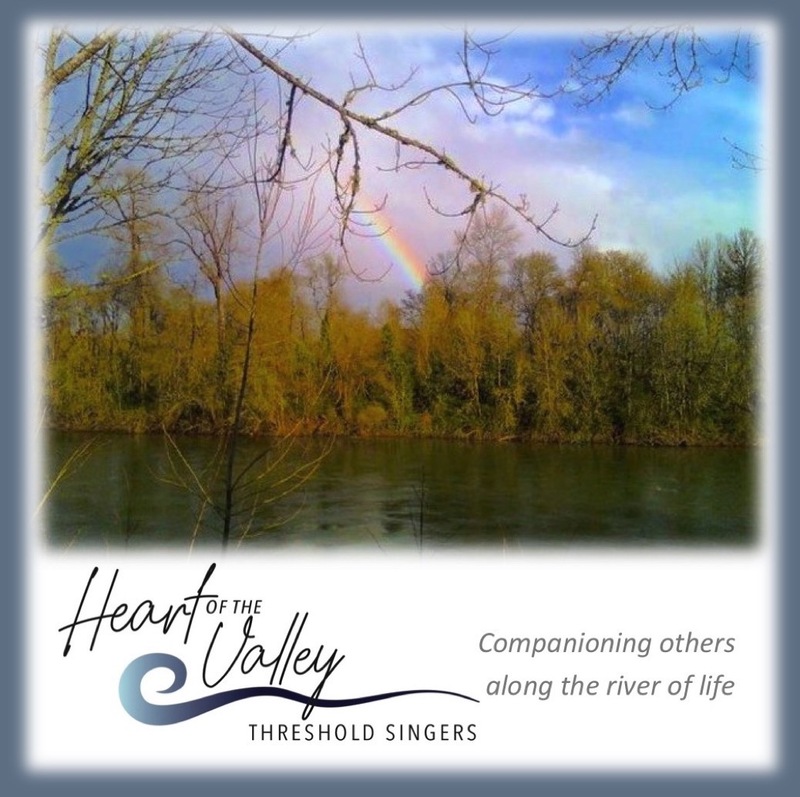 Heart of the Valley Threshold Singers is a group of women and men in the mid-Willamette Valley in Oregon who sing for people at life's thresholds, especially for those who are seriously ill, dying, or grieving. Our intention is to bring peace and comfort to our clients, their families, and their caregivers with our gentle voices, soothing songs, and calm presence. When invited to a bedside, we come in groups of 2-4 singers. Many of our songs were written by Threshold Choir members. A song session usually lasts around 15-30 minutes. Our quiet, simple songs carry messages of love, compassion, and peace. Our larger choir may share songs at other thresholds such as memorial services and contemplative events. Our service is a gift; there is no charge. However, we gratefully accept donations. We do not have a religious affiliation. We are a chapter of Threshold Choir, an international non-profit organization with over 170 chapters worldwide. We are a presence choir, not a performance choir. In our rehearsals we build a repertoire of songs; reflect on issues around life, death, and supporting those who are dying; and build deep connections with each other. 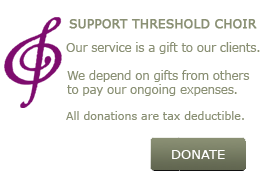 If our mission resonates with you, you may want to join us. We meet on the first, third, and fifth Sunday afternoons of the month in northwest Corvallis. We accept new members periodically.